my year / photo dump friday. filing a formal work grievance. 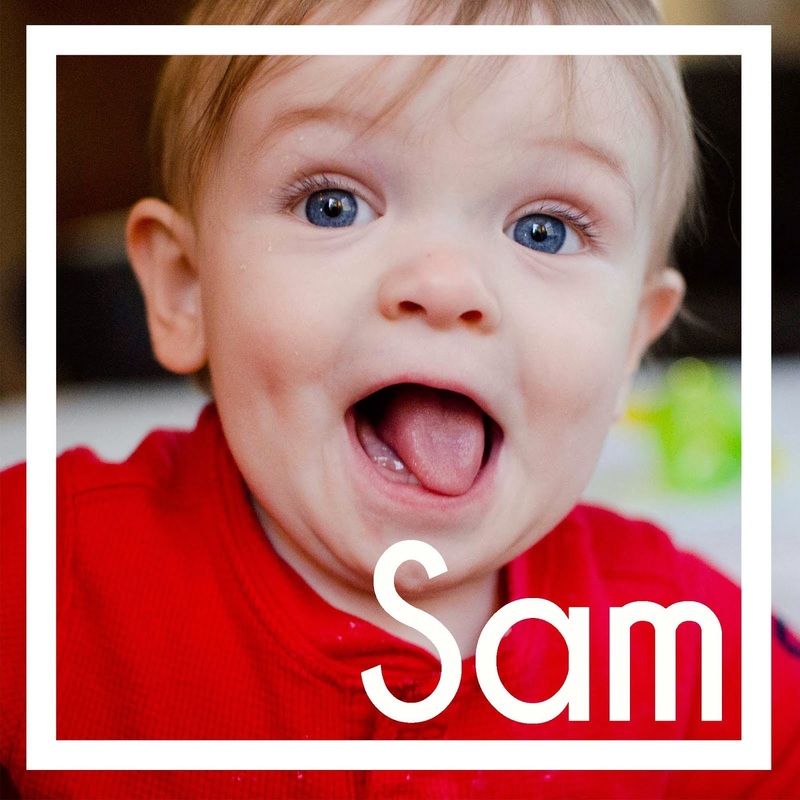 sam gets owned by a baby half his size. 11 months. wtf. omg. lol. jk. 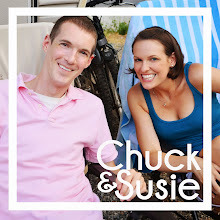 This morning I wanted to share more of the reason I started posted our meal plan on the blog. 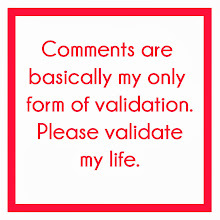 It's either share this or watch the Katharine McPhee Hallmark movie that I am super sucked into. Katharine is paused. 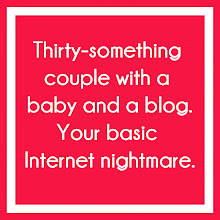 Blogging it is. I really do love meal planning. I can't live in a life where I don't know what I'm eating that night. I hate the feeling of having to run to the grocery store day after day to figure out what to have that night. I can't do it. I would rather sit down for 30 minutes Sunday night and make a game plan than worry about calling an audible everyday at 3 o'clock, but that's just me. And this blog is about me so neener neener neener. I like the game of meal planning - the overlap of recipes to use all the groceries. Take last week: Chuck wanted hot dogs so that's why we ended up with Sloppy Joes at the end of the week - I put hot dogs in the Sloppy Joes, duh. And the buns for the Sloppy Joes are why we had pulled BBQ chicken sandwiches. It's a big eating puzzle. And I like it. I really, really, really, like the savings. Our grocery bill is between $80-$100 each week. That's all our meals from sun up to sun down. Good food and good meals don't have to cost an arm and a leg. Chuck takes left overs to work, and Sam and I wing it each lunch. For us, it's insanely more moola if I don't have the week mapped out. Without a map, I can't guarantee Chuck's lunches for the week and I definitely can't make the meals overlap as well as I do when I see the whole picture. Over the weekend, one of my besties was taking a shot at making her family a meal plan. Her biggest complaint/concern about meal planning is that whenever she plans for the week, inevitably something comes up and they end up away from home for a meal or two. Then those meals and that food goes to waste, which isn't exactly in the spirit of meal planning. Here's how I combat this. Each week, I have one to two recipes that I call the "hold overs". They are the meals that, in a jam, could be held to the following week without any risk of throwing away ingredients. This week, it's Noddle Crack (yep, that's the name) and No Peek Chicken. 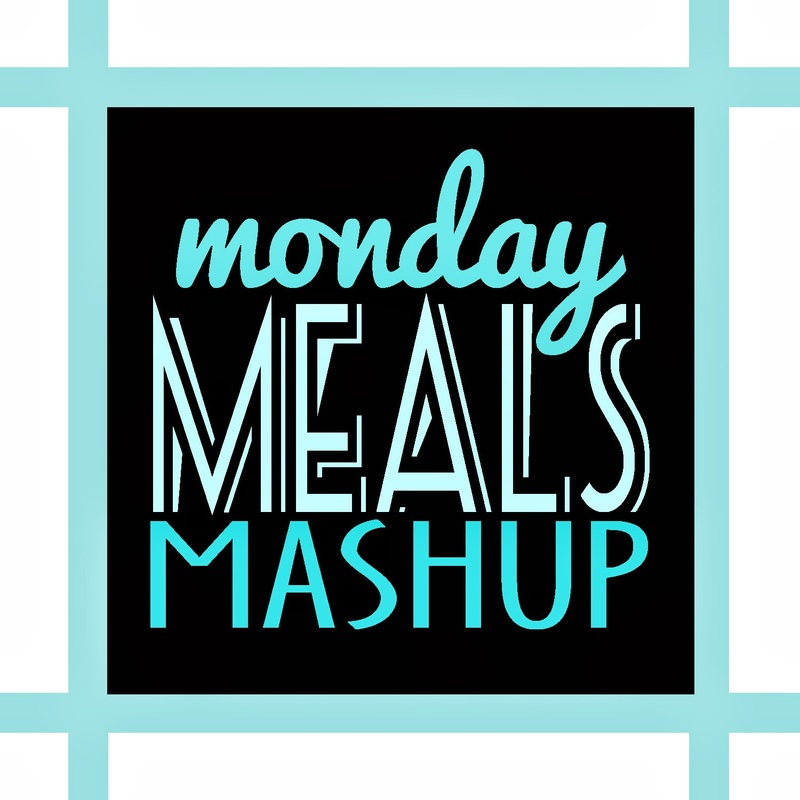 If our week changes, I can shelve those meals to next week with no risk of food spoiling. That's about all. Just wanted to share some thoughts. Monday: Black Bean Enchiladas - A fantastic recipe, such a gem. I add a shredded up rotisserie chicken to this vegetarian recipe. Here's why it's a wonder meal: It makes a ton and it's filling. For us, I make an 8x8 of enchiladas that will feed us for dinner and lunch, and then I freeze the left over "innerds" in two Tupperware. In case of emergency, these can be used as lunches for Chuck. It's his favorite emergency freezer lunch. Tuesday: Red Wine Pot Roast - A new recipe. Fe left red wine here from Easter and my roast from two weeks ago was buy one, get one so this is basically a free meal. This recipe looks amazing (a Pinterest find, obviously), but the blog looks like a good read too. I feel like there are more winners to come from this blog. 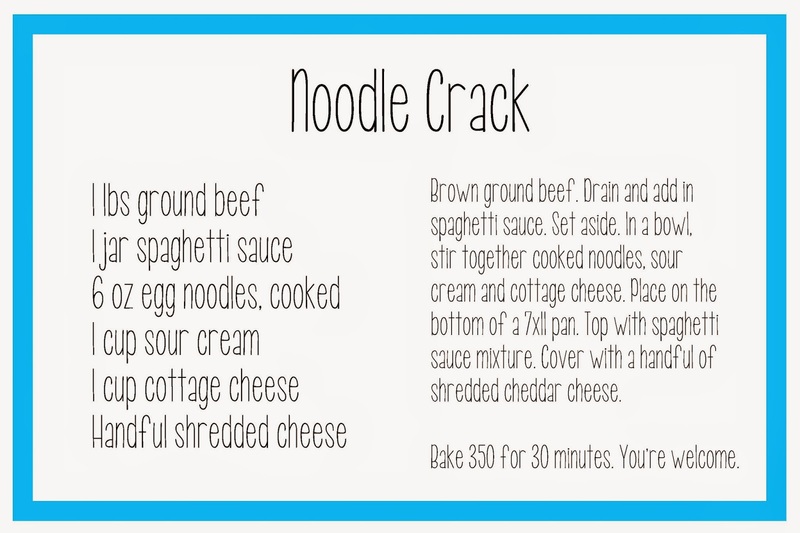 Wednesday: Noodle Crack - uh huh. That's the name. Noodle Crack. We started making this in college. Just celebrated our 12th anniversary with this dinner. I think it's called Sour Cream Noodle Bake but it's crack it's so good. It's been Noodle Crack since 2003. Recipe is below. Thursday: No Peek Chicken. I tried this No Peek recipe once before and loved it. It uses wild rice and cream of celery soup, so a little different than other No Peek recipes. I'm going for round 2. Friday: Beef and Orange Stir Fry. One of the best Martha Stewart recipes I've ever found from my favorite cook book, Great Food Fast. Saturday: I'm working and Chuck is working on the back yard. Really hoping Sam pulls his weight and comes up with something for Saturday. Head on over to Ashley at Life on the Parsons Farm to see what she's cooking this week. I totally made Noodle Crack for dinner tonight! Sounds really good - it's almost done and I can't wait to eat it. I made it with ground turkey and spiral pasta (because that's what I had on hand), and added some frozen chopped spinach and a can of mushrooms. Thanks for the recipe!